MUSIC AND ISLAM, ONLY IF ALLAH GETS TOP BILLING…….. – The Tundra Tabloids……. 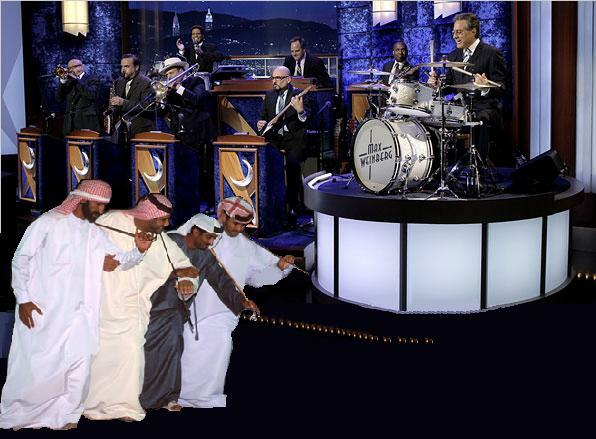 MUSIC AND ISLAM, ONLY IF ALLAH GETS TOP BILLING……..
It’s all about the promotion of Islam, nothing more, nothing less. VLAD: Songs in The keys of M and N. a musical comparison. I thought I would post this little set of rules about music as a partial answer to two questions which people seem to wonder about consciously or not, and out loud or not. Are Muslims the new Jews, or the new Nazis? Which cultures are more similar? The semitic ones of Islam and Judaism? Or Nazism and Islam? First, lets look at the rules for music under the Nazi regime in the 30s and 40s. More here at Vlad’s place. Previous Post Previous Post NO ALCOHOL AT QATAR FIFA GAMES CAUSES BLOOD TO BOIL……..
Next Post Next Post INVITATION OF PRO-WILDERS SPEAKER AT LEEDS UNIVERSITY CANCELED BY SPINELESS JEWISH STUDENT SOCIETY……..